Made for restaurants and businesses that prefer eMenu (electronic menu) and brochures. Menu Maker is extremely adaptable eMenu app to any type of menus that make paper menus something from the past. Menu Maker converts your tablet into an attractive adaptable digital menu. No more money or time wasted in adding items, removing items, or price changing with the old printed menus. very unique and attractive menu display design, where menu items are displayed in an amazing boxy structure. Menu Maker is made by a team of both professional restaurants managers and professional programmers, that will continue improving the app with each update. 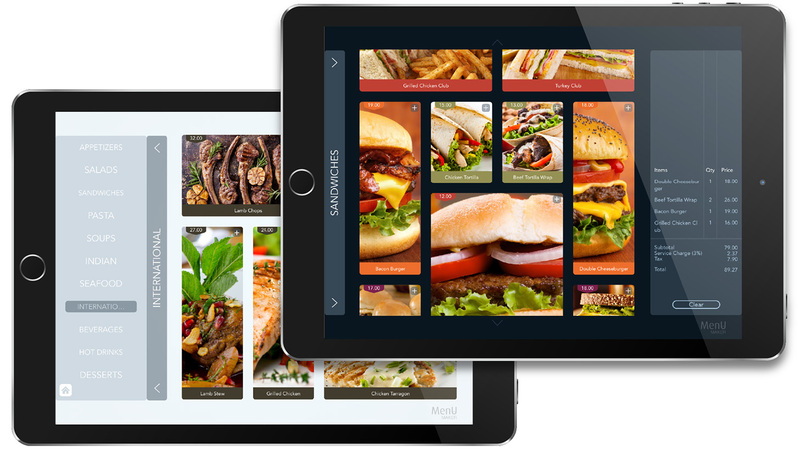 create unlimited number of menus, breakfast, lunch, dinner and daily menus with no extra costs using iPad only. adapt the menu to show available items only. export menus to the clouds and keep them safe. Import menus from clouds to another device and make unlimited duplicates to the menus in seconds. You can use all the app features and do every thing from A to Z using only your iPad. No need to connect your iPad to the computer. your customers can make their own orders as they view your menu, or alternatively orders can be made in the traditional way by the waiter/waitresses. create multi-language menus using your custom design. There is no need for internet connection, Menu Maker will run seamlessly without internet connection.